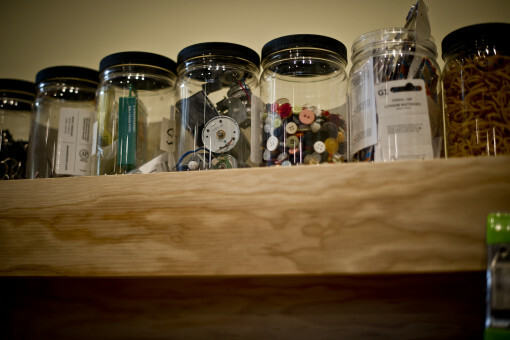 MAKESHOP is a place for children and families to explore “real stuff” — the tools, materials and processes used by artists, makers and craftspeople. 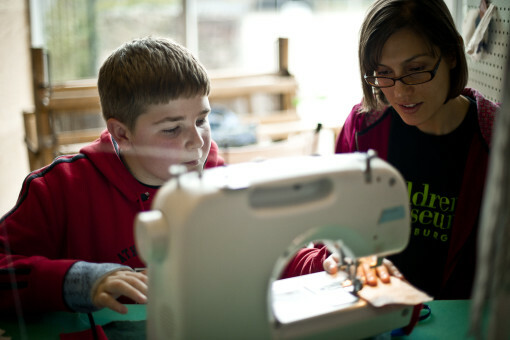 We believe that everybody, no matter their age, can be a maker. 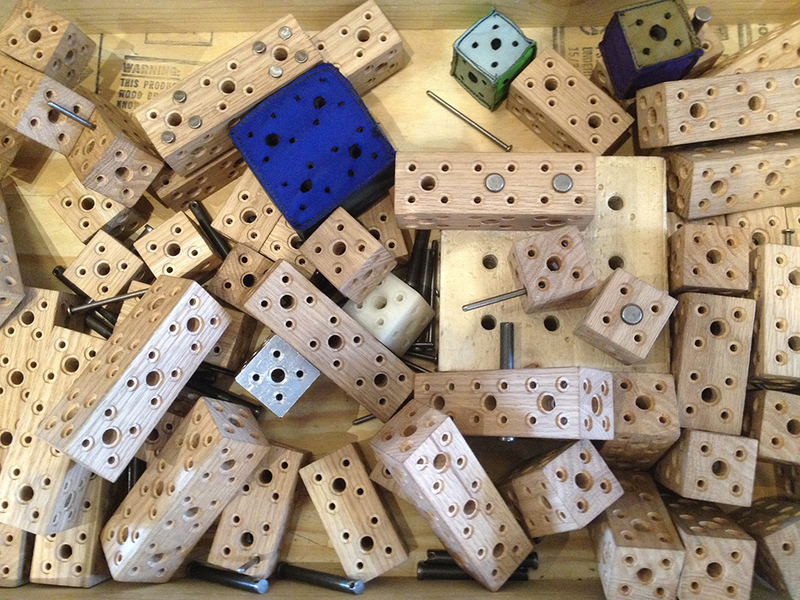 We encourage visitors to explore and test their ideas, designs and techniques, to explore making as a process of creative informal learning. Every day is a little different here – check out our Programs & Events page for details. Browse the blog for photos and information on what we’ve been working on, who we’re working with and other interesting documentation. Everyday there are opportunities for building, sorting, attachment, experimentation and reading in MAKESHOP, appropriate for all ages. Check out our blog and Twitter feed for photos and information about recent projects. While we love to receive donations in MAKESHOP, please email staff before delivering items to donate to be sure that we can accept and store the items. The truth is, MAKESHOP is always changing — we try new things, bring back our old favorites and completely reimagine what the space can be. 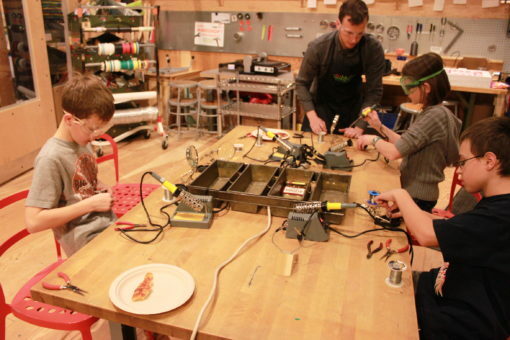 Check out this video of just one week in the MAKESHOP Workshop. Watch out for schools groups, guest makers, play-testing, meetings, photo shoots, themed activities and more!